Have your crank arm parallel to the ground. Take a picture for Dr. Vince’s review. Have the crank arm down, with its positioning parallel with the seat tube. Take a photo for Dr. Vince’s review. Measure the distance from the widest point of your current seat to the center of your handlebar stem. We do this so the Infinity Seat will be installed in the same position as your current seat. Remove the seat from its mount and attach the Infinity Seat in approximately the same position. Establish the pitch so its nose and tongue are level (parallel) with the ground (a bubble level is helpful). Before you tighten the bolt, slide the seat forward or aft to ensure the measurement from the widest point of the seat to your handlebar stem is the same as your previous seat setup. Depending on the height dimension of the seat you’re replacing, you may need to raise (or lower) your seat post slightly. You should feel well supported and sit comfortably in the pocket. If you feel pressure in your pubic area, simply rotate the pitch of the seat FORWARD by a couple of degrees. If on the other hand you’re sliding forward when you ride, then rotate the pitch BACK by a couple of degrees. 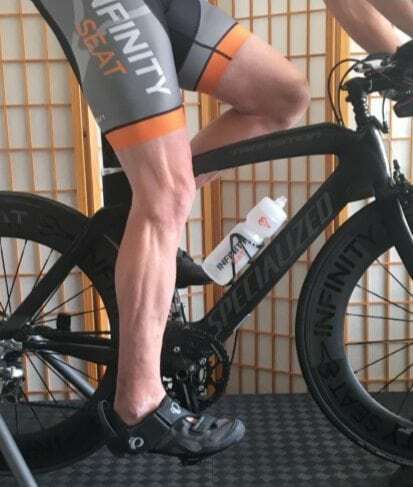 It may take a couple of tries to get it just right, but once you find the perfect position, we guarantee this will be the most comfortable, pain-free bicycle saddle you’ve EVER owned! 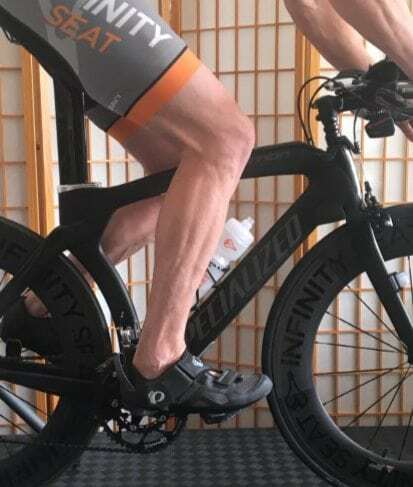 To achieve the most comfortable riding position and powerful pedal stroke, your kneecap should be directly above your pedal crank when the crank is in its level (most forward) position. 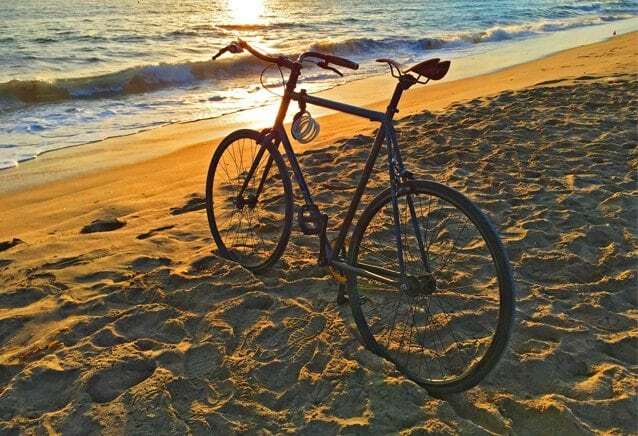 With your bike securely in its stand, carefully climb on. With your pedals level with each other, look down over your front knee. It should be directly above the crank of your pedal (which is approximately in line with the ball of your foot). If you have a plumb bob, have someone hold the string to your kneecap. The bob should hang directly over the pedal crank. • If your knee is ahead of the pedal, then loosen the seat mount and slide the seat and rails backward. • If your knee is behind the pedal, then slide the seat slightly forward.